Looking for a property in Tellapur? Have a property in Tellapur? Tellapur, Hyderabad is rated 6 out of 10 based on 2 user reviews. Have a good knowledge of Tellapur? Share it and become a Locality expert. Pranit Mayfair Villas contains total 208 Villas with luxurious features and it is located at Tellapur, Gachibowli, Hyderabad. 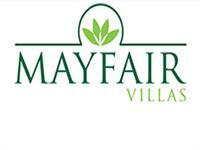 Mayfair Villas is spread over 27 acres land. a strong bond between man, soul and nature. Bonsai Homes developer is co promoter of PBEL a multinational company introduces homes with elegant features and international reputation. Bonsai is located at Tellapur, very near to the it sez at Gachibowli.